Enviro Service, Inc. Commercail HVAC Installation Maintenance and Repair | Enviro Service, Inc. 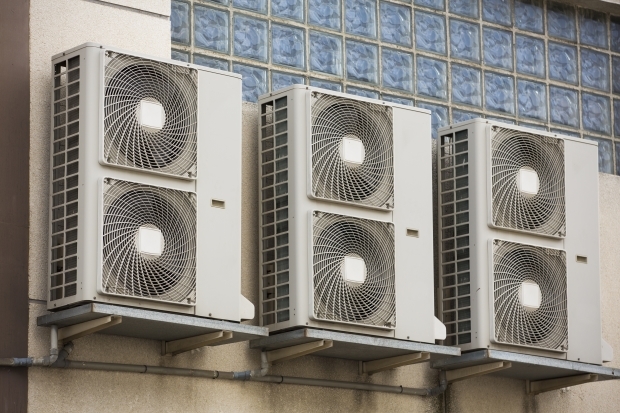 The HVAC system serving your commercial property is vital to your business. Problems with your HVAC system don’t just affect the comfort of employees and customers, they affect the bottom line of your company as well. Employees that work in an environment that is too cold or too hot will have difficulty focusing due to discomfort, which in turn will cause lower productivity and lesser quality work. Customers are affected as well – they are less likely to stick around your place of business if they are uncomfortable, and any discomfort could affect their decision to do business with you as well. If your business’s commercial heating and cooling system breaks down, give us a call. We’ll send one of our experienced technicians to diagnose your issue and repair your commercial HVAC system as soon as possible. Uneven heating and cooling – If you can’t seem to heat or cool your property properly, there’s something wrong with your HVAC system. We will identify and repair the problem so that it doesn’t affect your employees or customers in a negative way. Rise in costs – Heating and cooling a commercial property can be expensive – but if you notice a huge jump from one month to the next, you’ll want to have your HVAC system inspected right away. Heating and cooling costs do affect your bottom line, after all. Strange sounds – If your commercial HVAC system is making odd sounds while operating, have your system inspected. Even if it’s not affecting your heating or cooling, it could be a sign that your system is about to fail. We will send our technicians to your commercial property in order to conduct a thorough inspection in order to properly identify any issues with your commercial HVAC system. We have the experience and ability to repair all kinds of commercial HVAC systems, including VRF systems and rooftop packaged systems. VRF Systems – VRF systems are a little more sophisticated than traditional commercial HVAC systems. What makes VRF systems unique is that they pump refrigerant throughout evaporators within your commercial building, thereby allowing you to simultaneously heat and cool different parts of your building at the same time. Because they use advanced components and controls, you need to use a commercial HVAC repair service that specializes in repairing VRF systems, which we do here at Enviro Service. Rooftop Systems – Rooftop systems centralize your property’s heating and cooling units into a single location – the roof. This actually makes a rooftop system easier to fix since only one unit needs to be inspected in order to diagnose the problem. We are a family owned and operated HVAC business with over 40 years of experience in the area. If you are in need of a commercial HVAC repair and want to work with one of the area’s best commercial heating and cooling contractors, give us a call or request an estimate online.